From princess to private detective. Exiled, stripped of her title and magic armor, former paranormal princess Terra Cross is living a new life as a private detective. Working side-by-side with her father, she hunts down galactic bail jumpers hiding on Earth, rescues kidnapped children from otherworldly gangsters, and stops ritualistic summonings of interdimensional monsters. But her old life comes knocking when a vampire solider shows up on her doorstep with a job: to find the missing twin heirs to the vampires’ empire. Assailed by monsters and machines, Terra seeks the help of the galaxy’s most infamous assassin, a darkly tempting mage with devastating telekinetic powers. What begins as a rescue mission, however, soon grows into a conspiracy that reaches back centuries and spans worlds. 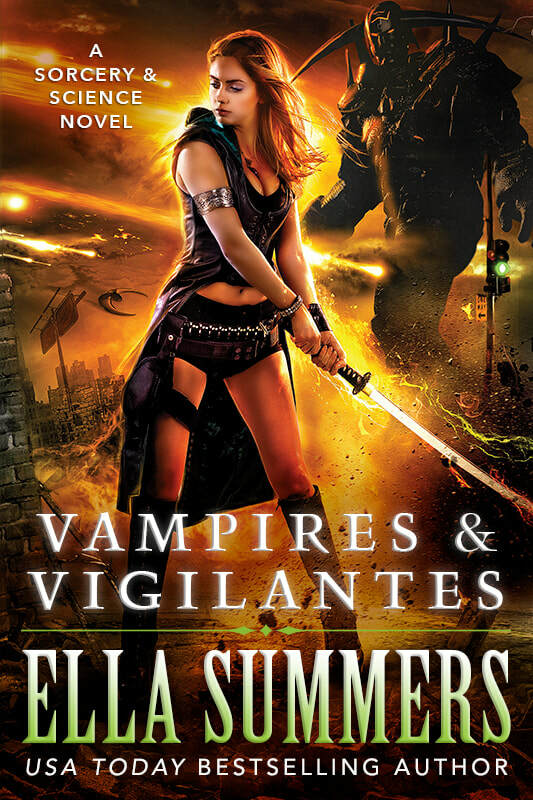 Vampires & Vigilantes is a new urban fantasy novel set in the rebooted Sorcery & Science universe.